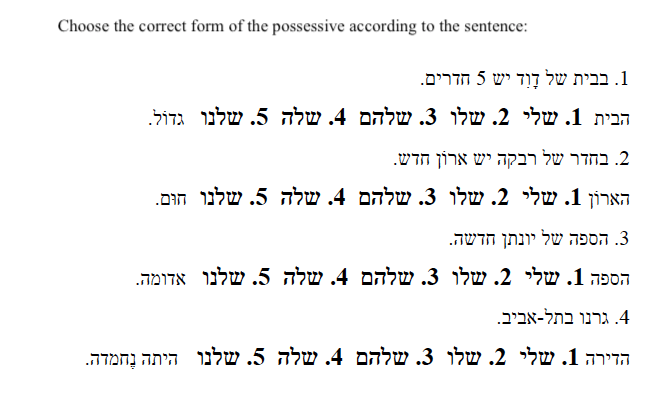 Welcome to the Hebrew Practice Exam. 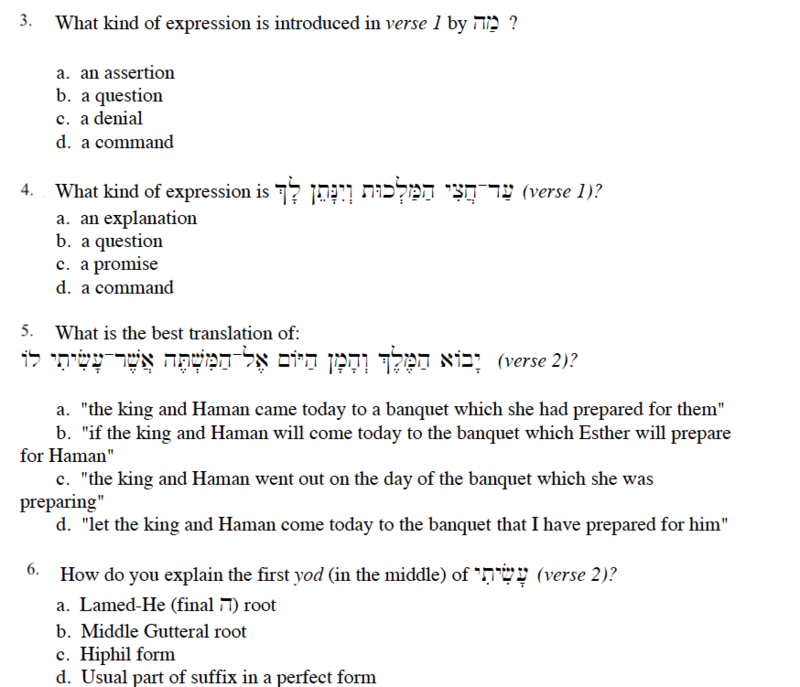 This is a test to see what kinds of Hebrew strengths you have, as well as areas for improvement. Do not be intimidated by the exam -- it is only a tool to help, not a tool to prevent you from attending PRS. This quiz does not show correct answers. 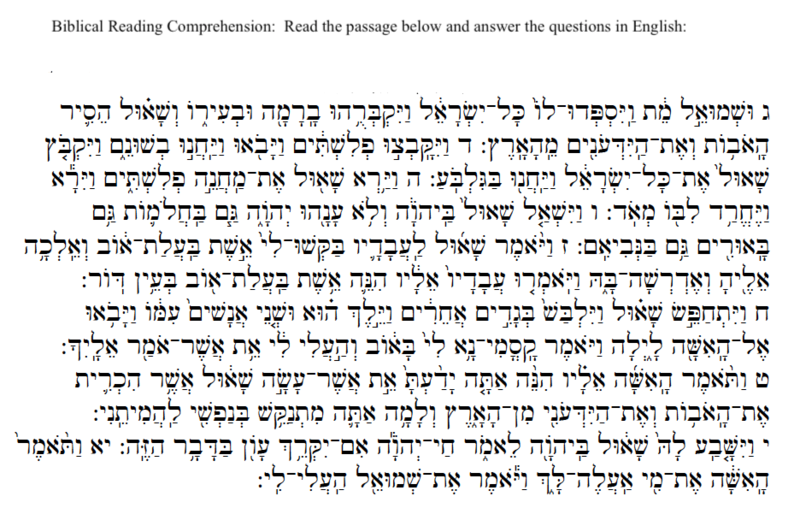 The answers you provide are sent to PRS administration who review each exam manually and will counsel you to either apply for our program, or provide educational options to help you meet our minimum Hebrew standard so that you may apply. There is no time limit for the exam and you are welcome to take it as many times as you would like. While exams are not taken in front of an administrator, they are proctored by a series of web tools including cookies, screen capturing apps such as HotJar, and our own built-in exam software. We respect your privacy, but balance that privacy against the integrity of our program to ensure that cheating is not possible. For the best user experience, we recommend the use of a laptop or desktop computer to take this exam. If you have any issues using the exam, please email [email protected] and we will provide you technical support as soon as possible. Click the "next" button below to begin your exam. Do you have any comments on this exam? Please fill in the comment box below. An administrator will review your answers and communicate back with you as soon as possible. There is no need to confirm receipt of the exam answers. Please press the Submit button below to complete your quiz. 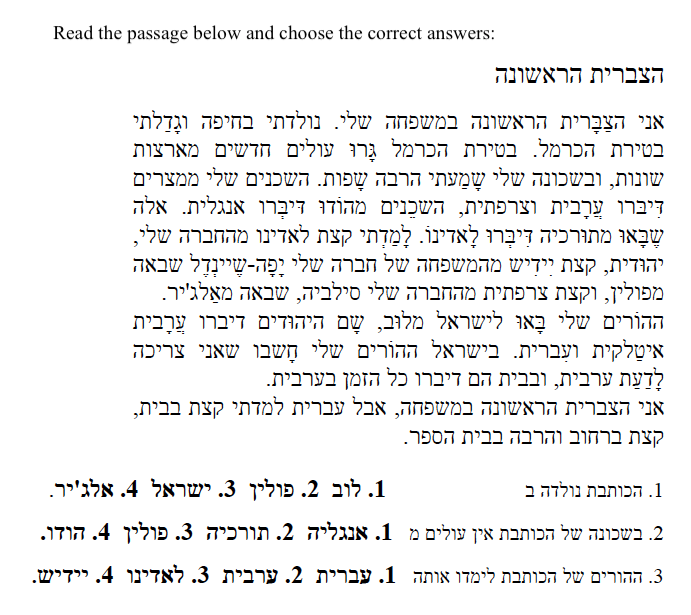 Not sure if you are ready to take the Pluralistic Rabbinical Seminary practice test? Let us know and we will help you.